Photo: Field discussion about Peach Spring Tuff in the Alvord Mountain area. 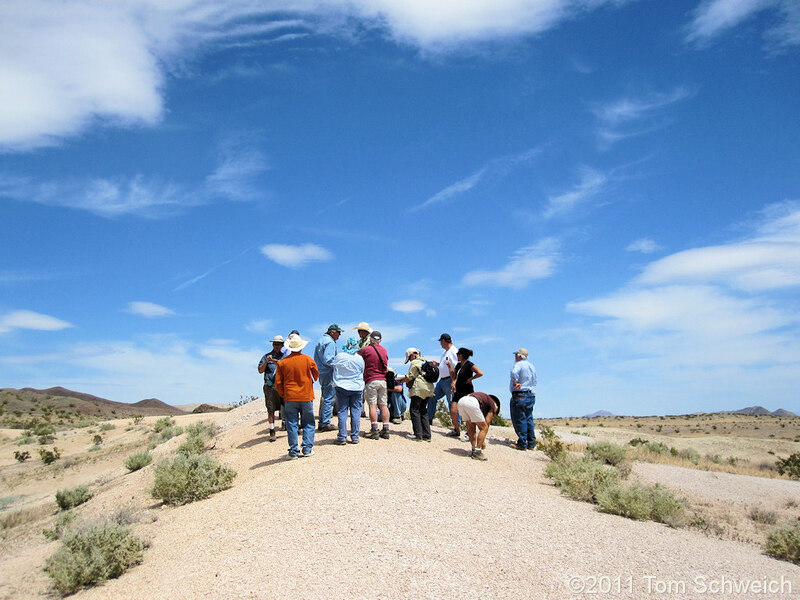 Eastern Mojave Vegetation Field discussion about Peach Spring Tuff in the Alvord Mountain area. Photograph taken April 23, 2011, while standing on an outcrop believed to be Peach Spring Tuff. Field Notes: 23 Apr 2011. Eastern Mojave Geology -- A Botanist's View: in Alvord Mtn area. Other photos about Geography - Central Mojave or Peach Spring Tuff.